It’s time to race around the world with the roadster racers, and Mickey Mouse is ready to zip and zoom into action in his hot diggity dogster race car! 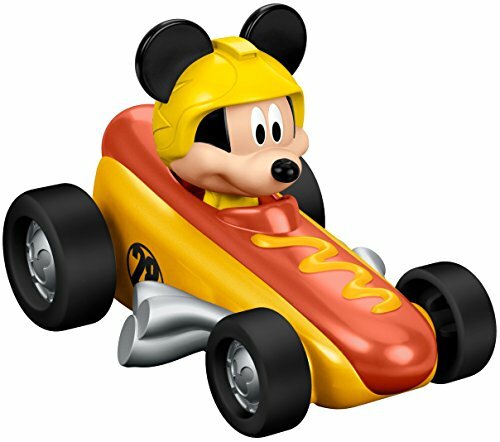 now your child can collect all their favorite roadster racers with this collection of die-cast collectable vehicles. These die-cast vehicles feature amazing cars from Disney junior, Mickey and the roadster racers with your favorite characters in the driver’s seat. Each car has a distinctive look inspired by the show, with each character’s face in a unique expression based on their personality. Your child can collect them all! each works with Mickey’s roadster racers track sets. Vehicles and track sets sold separately and subject to availability.